PENSACOLA – This David Beckham knows the hospitality industry, not soccer. However, his famous name sure helps Pensacola Beach Hampton Inn visitors remember him. Beckham’s shy demeanor and soft spoken, gentle disposition prove to be an asset to his newly acquired job position. 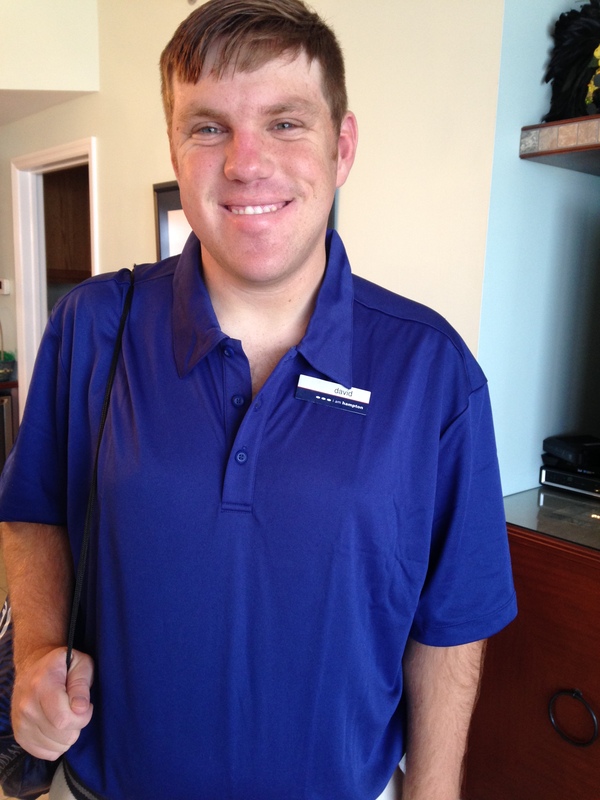 Beckham knows it’s his ability, not disability that landed him his dream job as a houseman at the Hampton Inn. Beckham is especially excited about this employment opportunity because it allows him the possibility of growing and developing in the hospitality industry. This industry is where much of his vocational and on-the-job-training were focused, and now it is paying off. Beckham has enjoyed his job for the past several months. He delivers linens for maid service, towels to pool side guests, and he assists with the hotel breakfast bar. Beckham receives services from the Agency for Persons with Disabilities. Job Coach Carolyn Sutton with Express Employment Services helped Beckham in his job search. She assisted in preparing for interviews, helped him keep his resume updated, and transported him from business to business while seeking the perfect employment match. Beckham’s mother, Rhonda Dorfman, strongly feels no one should limit their dreams.